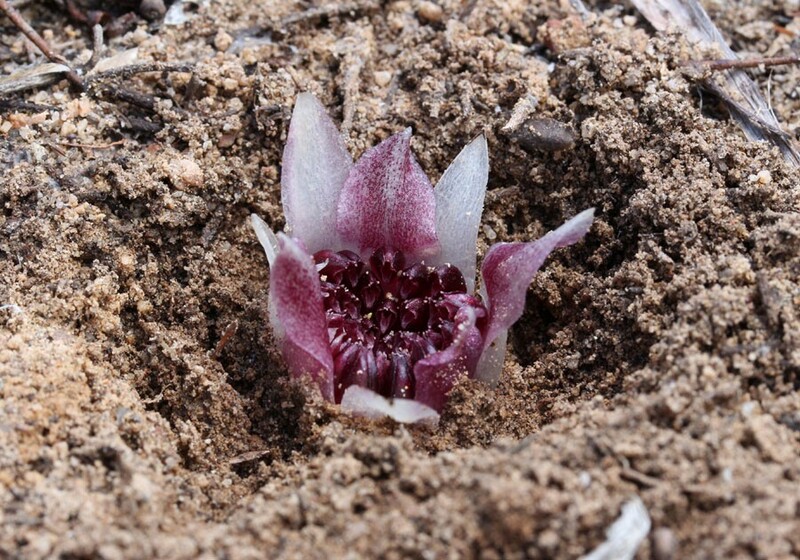 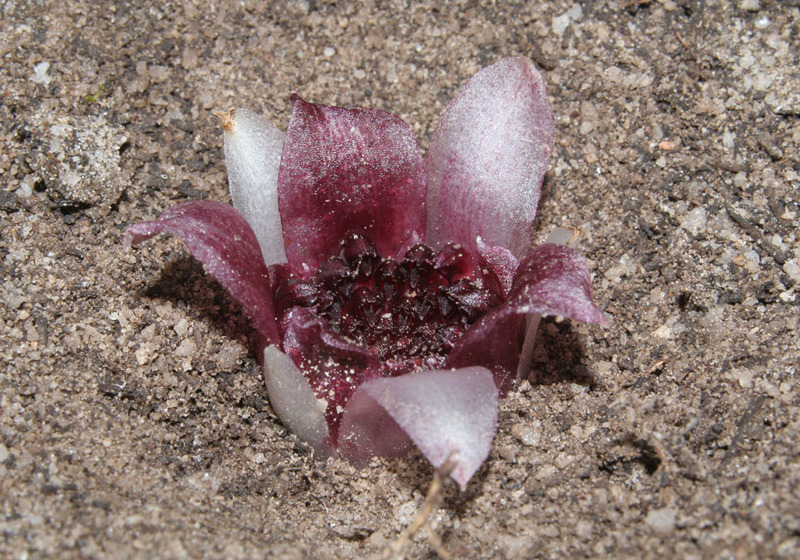 This amazing orchid spends its entire life cycle underground. 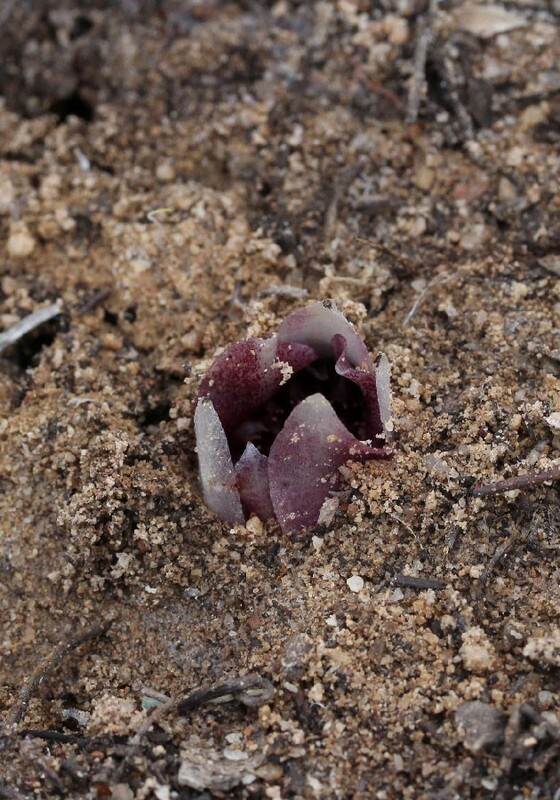 Its flowers grow up to just beneath the surface of the ground under a layer of leaf litter. 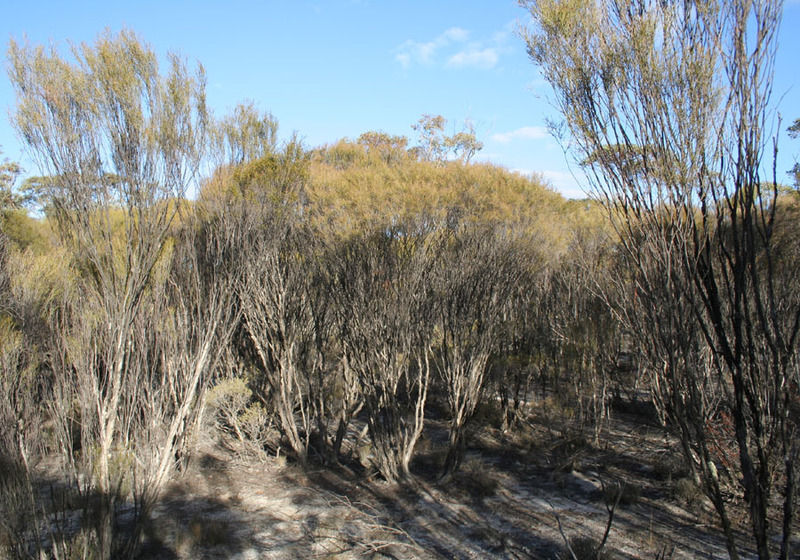 They grow in association with Melaleuca uncinata (Broom Bush). 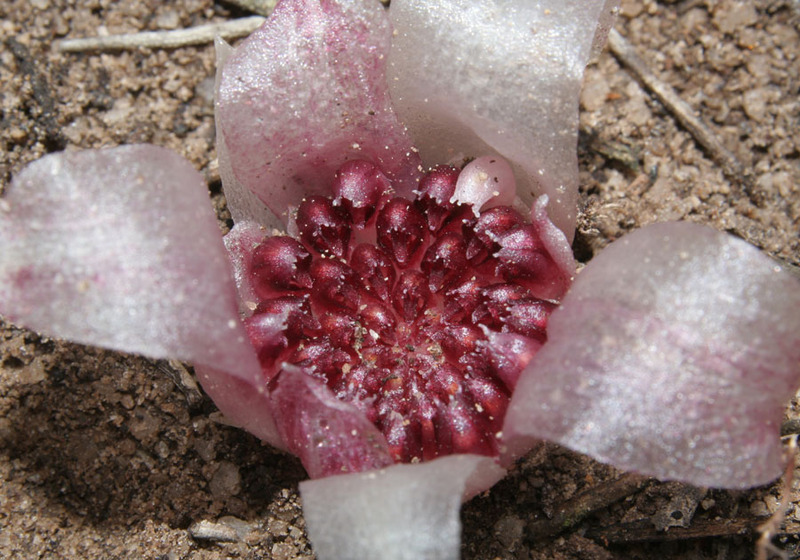 What appears to be pink petals are actually bracts that form a tulip shaped covering over the flowers. 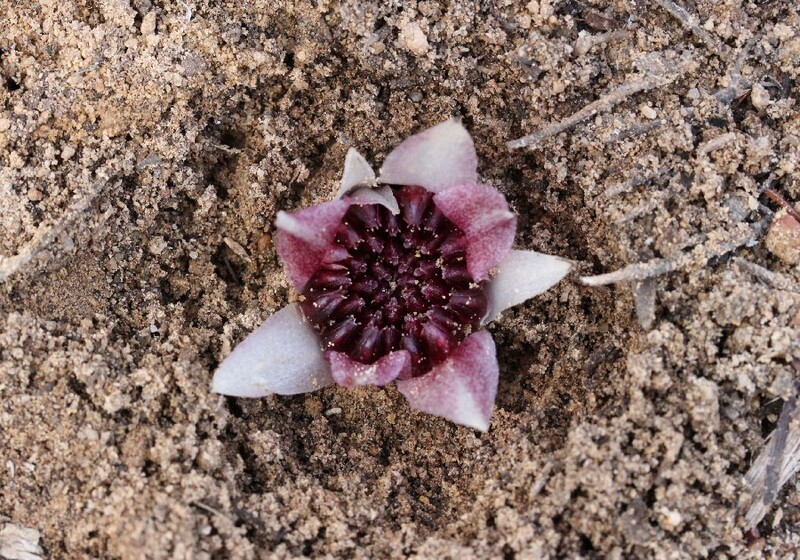 The small black lumps within the flower are the individual flowers. 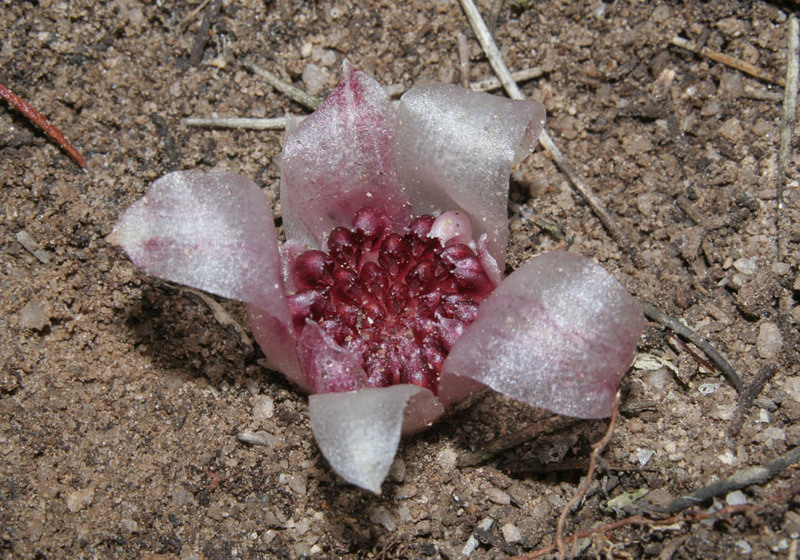 Each flowering head can produce up to 100 flowers. 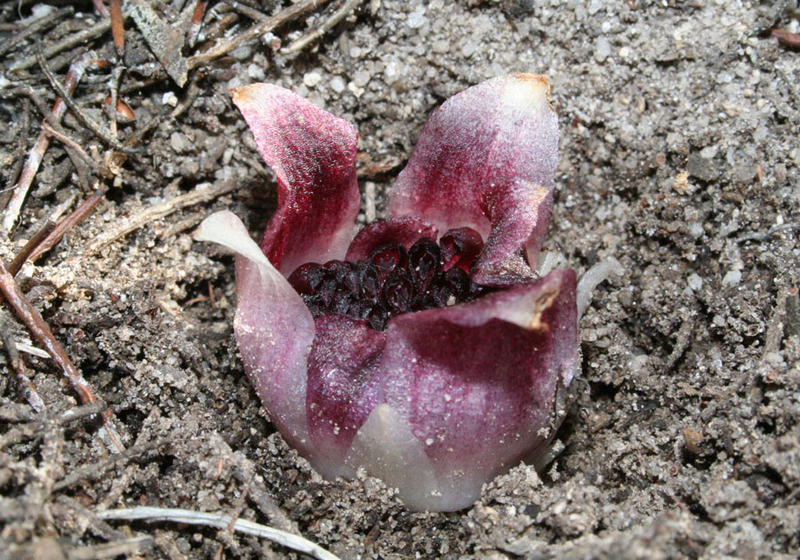 The entire flowering head is about 2.5-3cm across. 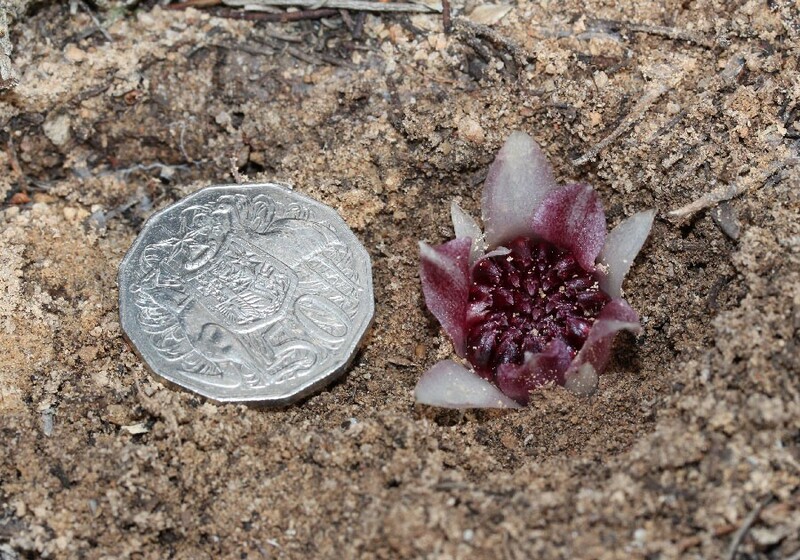 Most of the photos below show what the orchid looks like when the leaf litter and a small amount of soil has been removed from around the orchid. 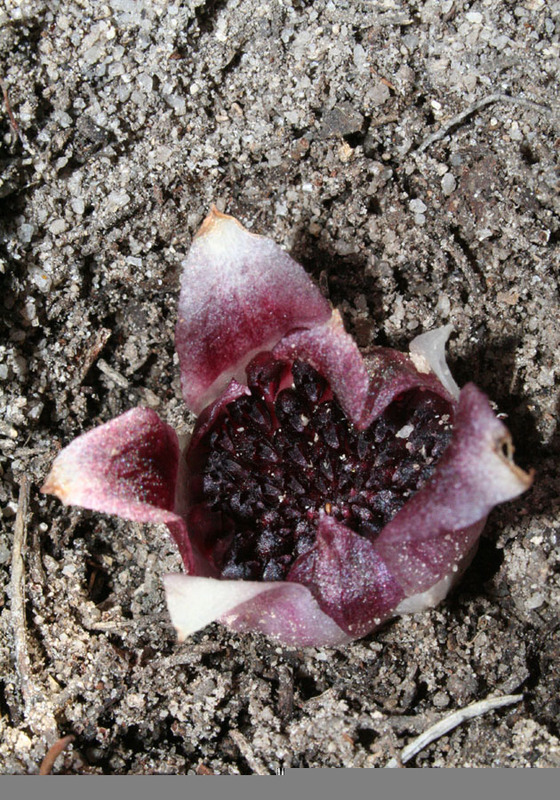 The pink bracts open up a few minutes after the litter is scraped away. 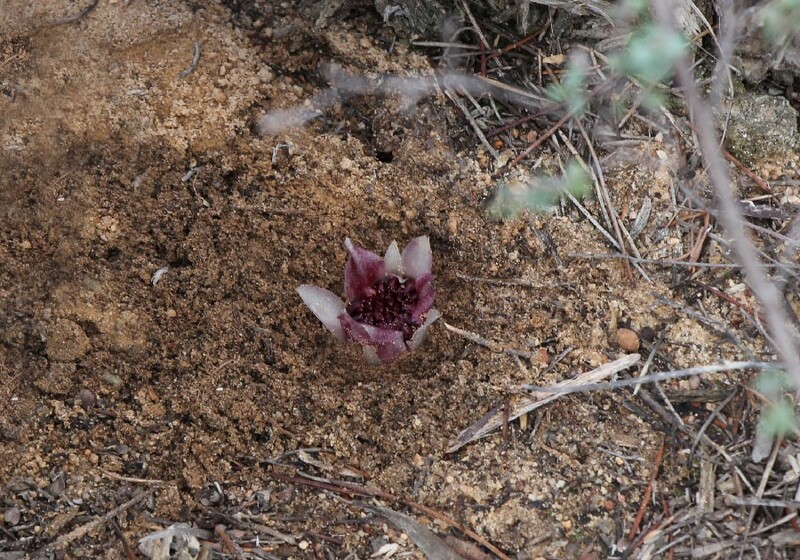 Before this is done, the orchids are not usually visible at all. 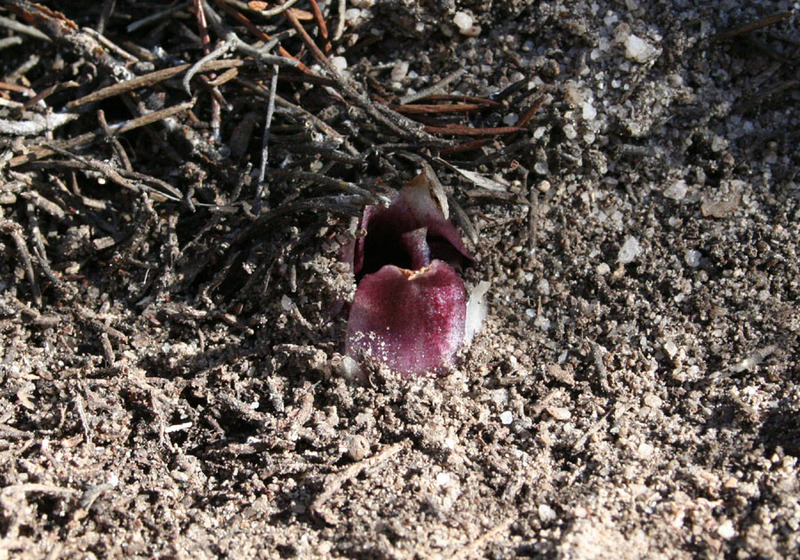 This means that finding this orchid is very difficult, involving scraping away lots of leaf litter and hoping for the best.